Yoga brings me special presents. Not every day, but it gives me something to grab onto each and every time. Supta Baddha Konasana, or Reclining Bound Angle Pose, is a challenging and often beginning pose meant to open up your hips. The hips hold a world of tension in the body, and it is difficult to think about anything but pain when your knees are splayed such as they are. At least for me. 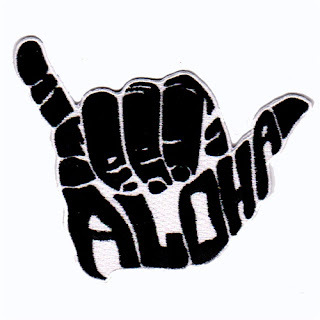 So yesterday, I felt fortunate the theme of my morning practice, “Aloha”, seeped into my consciousness at all. Yes, it generally means hello and goodbye in Hawaii, and when I imagine it, it feels like it should have a paper umbrella floating in it. But I am talking about the deeper meaning of the word. It really sunk in. Especially now. And at this time of the year. I could look it up, certainly, and find different definitions. I’m satisfied with this one today. I want to be the "Aloha".